You know you're in for a fun night when you're sitting in a packed cinema with popcorn and a glass of wine and the audience are already screaming at the scary bits in the trailers. Such is the setting fo my viewing ofr Get Out, Jordan Peele's innovative, genre-bending horror flick. Oooh yeah! Welcome to liberal America, where 'not being racist' means voting for Obama and admiring Jesse Owens. Soon poor Chris finds himself up to his neck in old, rich, white people, all falling over themselves to not seem racist, in scenes so awkward and cringey they make any white liberal person uncomfortably wonder just how non-racist they really are. 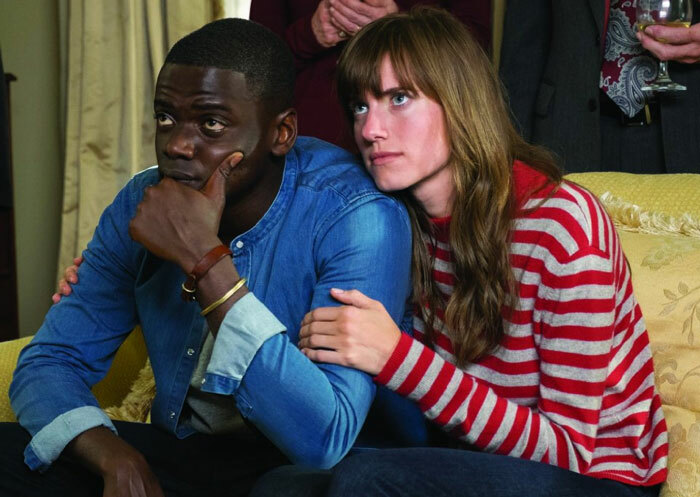 All of which doesn't sound much fun – except it is, because as well as being a searing expose of mixed up social mores, Get Out is also a totally stonking movie, a batshit crazy mash up of 1970s horror greats, in which the creepy cult vibe of Rosemary's Baby or The Wicker Man meets the suburban satire of The Stepford Wives, the floundering fish-out-of-water culture clash of Deliverance melds with the complete reversal of expectations established in Night of the Living Dead. Yet despite the influences the film wears lovingly on its sleeve, few genre staples are left unexplored or messed with: the 'token black guy', here the hero; the 'douchebag' brother (a splendid turn from Caleb Landry Jones in bright red trousers – which tells you all about his character you need to know); the comedy best friend (an equally splendid turn from LilRey Howery). 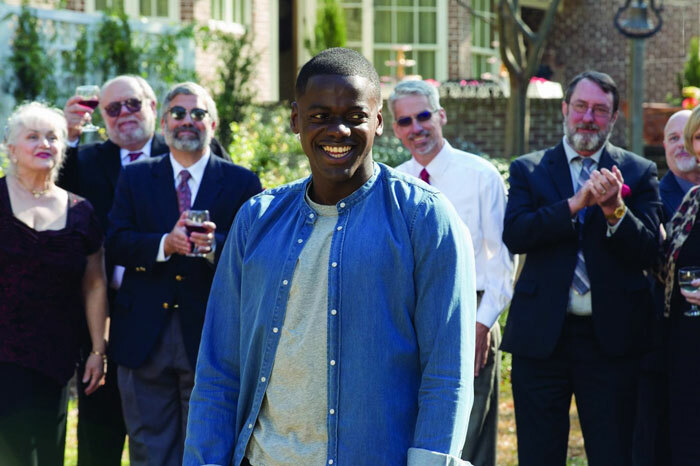 Suspenseful, funny yet thought-provoking, full of twists and edge-of-seat exciting at its climax, Get Out is a cracking piece of cinema, well worth the spontaneous whoops, cheers and applause that punctuated the ending. Get out... and see it.